...That which is Below corresponds to that which is Above, and that which is Above corresponds to that which is below, in the accomplishment of the miracle of one thing... From the Emerald Tablets of Hermes. StarIQ.com is a refreshingly unique astrology site that offers free personalized forecasts by email, original daily content on astrology and sports, health, celebrities, finance and other subjects, as well as a guide to astrology conferences, organizations and practitioners worldwide. Welcome to the Wheel of Astrologers! 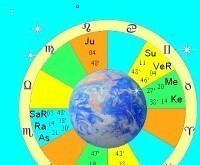 We’re a group of friends united by a love of Astrology and we want to share our enthusiasm, passion and insight. ... these pages are dedicated to the Rainbow Nature of Mind, the Mysteries of Life & the Search for Enlightenment ... and created in the spirit of Libra and Venus.